UX has been a buzzword that bounces around the design world, endorsed and adopted by designers and developers. In many cases, highly respected developers who claim to be talking about ”UX” in a product demonstration are in fact showing a large number of UI features. I doubt much that the vague definition may account for this kind of misunderstanding. We’ve heard of UI (User interface) and UX (User Experience). When you build an App or a website with Mockplus, we will talk to you about both. 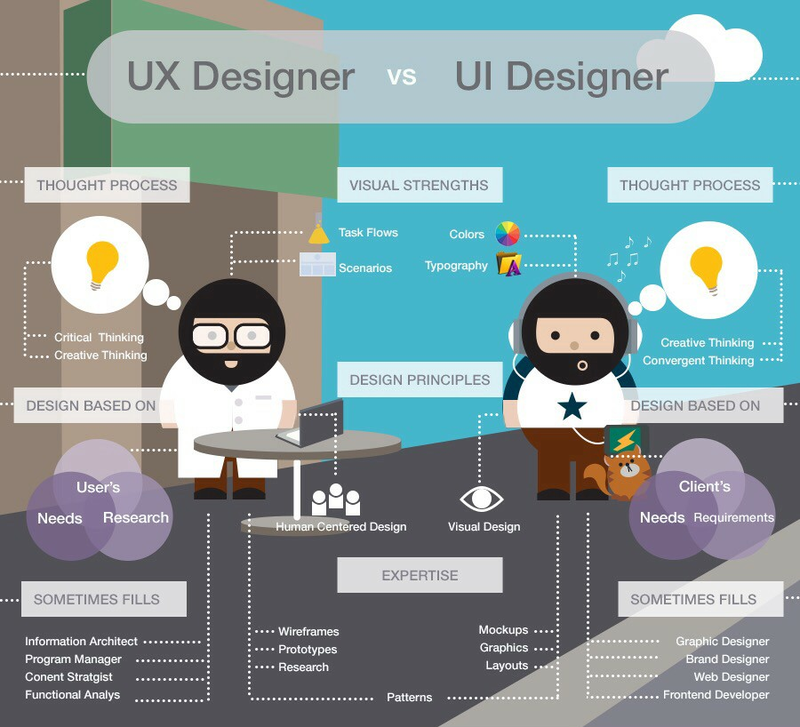 If UX is not UI, What is the exact difference? UX is not UI, then what is the definition of UX exactly? Here I am not going to shoot the cliche but to provide you with a intuitive introduction which will help you to get a quick understanding of why UX is not UI. GoodUX designfocuses on the interactive side of the product, how it behaves, such as a box sliding out, and how people might interact with it, such as where they will click first. UX handles the architecture of the content and the site map. To get a better understanding of why UX is not UI, UI is a small part of UX to some extent. However, UI design focuses more on colors and typography. Let’s pick a textbook example. If there need to be a button, UI designers will concentrate on the visual part. Namely, how the button will look like and what color to use, whileUX designers are trying to figure out where to put it with the intention to find what users want and the resolutions to those pain points. So next time if you hear something like“building great user experiences with Silverlight 4” or“Mastering HTML5, CSS3 and Jquery to implement stunning user experience”, you can just laugh it off or boo them if you want to.